The first Simplify My Life (SML) challenge is well and truly in progress and hopefully you too have kicked off with your shiny, uncluttered kitchen. With the help of a friend who is one of the kitchen renovation contractors in Vancouver visiting, mine is coming along nicely. Although it really is such an epic area to declutter. It can also be a really gross area to clean! Now I must confess… I am the world’s worst house wife. Yep, I hate cleaning, but who doesn’t! Only difference is, I am really slack at it. 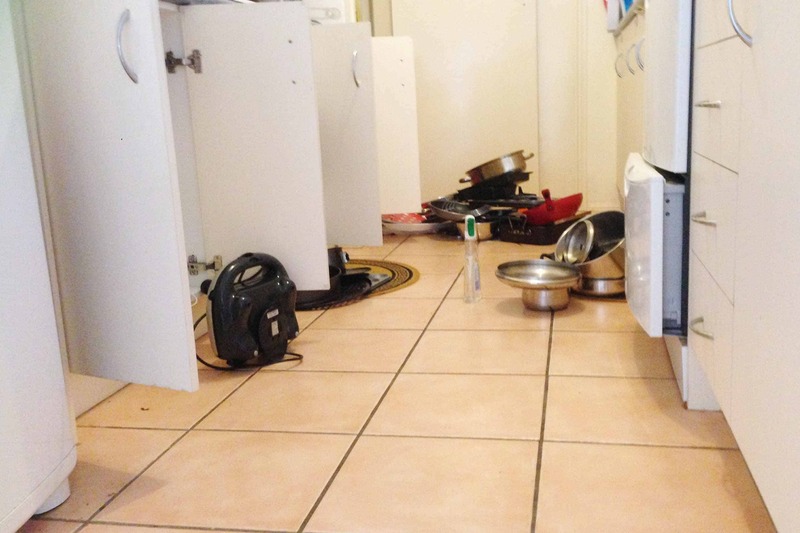 It’s usually on weekends and maybe mid week that hubby and I do a joint kitchen clean up because neither of us is usually motivated to do it on our own. On these days we stack the dishwasher, clean the stuff that doesn’t fit, wipe down the benches and either neatly stack the random crap that’s ended up on the bench… or put it somewhere else. The rest happens much less often (like cleaning the fridge once one of us gets sick of the sticky residue on a shelves or can no longer identify the furry fruit or veg in the chiller). Oops! Part of it comes down to the fact that it’s such a huge job because we have so much crap. Which is why this challenge is just perfect for making the kitchen a lot easier place to tackle in future. So far I have filled a few boxes overflowing with stuff we really don’t need. Our old saucepan set & frying pans because we got shiny new ones for Christmas. Random baking trays and tools we have never used. Gadgets that were a one use fad like cupcake makers. Plus the endless random things that lived in the second drawer. 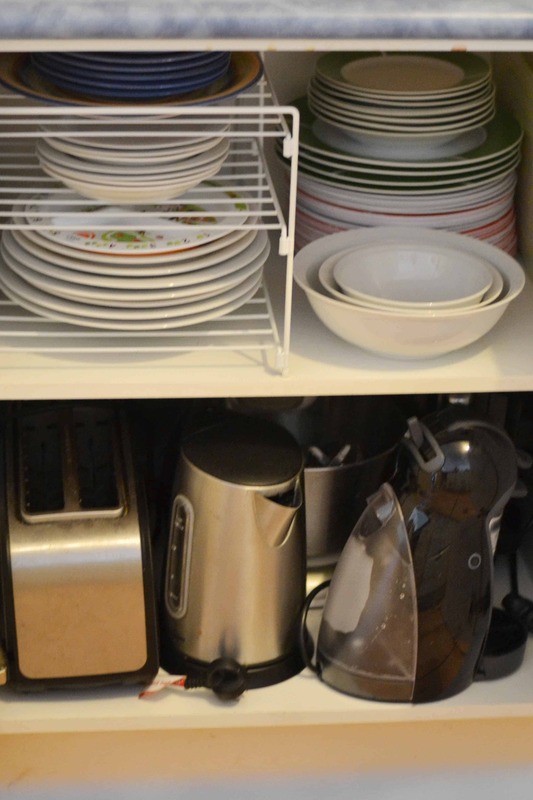 The other great change is putting things in more logical homes… like our most used gadgets in one cupboard and the less used casserole and baking dishes in the buffet shelves so I can better use the space in the kitchen. The plastic cupboard is a lot lighter on these days too, being realistic with what we never use and simply don’t need falling on our feet each time we open the cupboard door. Don’t get me wrong… I am still working on ideal organisation for certain areas of my kitchen (HELLO PINTEREST) but we are well on the way to a decluttered kitchen. Not to mention a shiny, sparkly clean one. It’s definitely getting the most thorough clean it’s had since we moved in 5 years ago. Double oops! Empty everything out onto the floor from the area/cupboard you are working on so you have it all in view. Consider new and more logical homes for certain things – frequent use, somewhere easy; less frequent, store it away. Be strict – Don’t keep things you may only use once in a blue moon (or never). 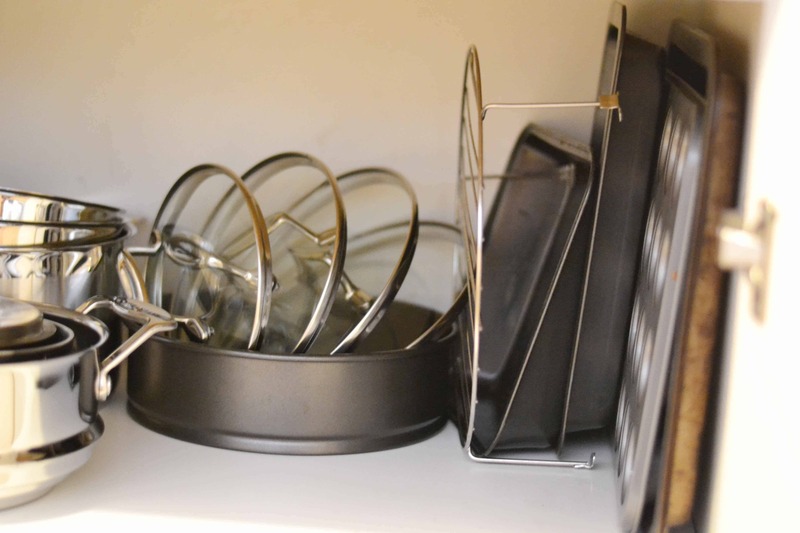 Use a container to store lids in the plastic and sausepan cupboard – 3 hours a week saved looking for lids. You do not need 2 of everything. Give all the small appliances a scrub down (toaster, kettle, grill etc) as I forgot to add that to the checklist. Don’t forget to tell your partner where everything now is and explain the organisation system so he doesn’t go messing it up! 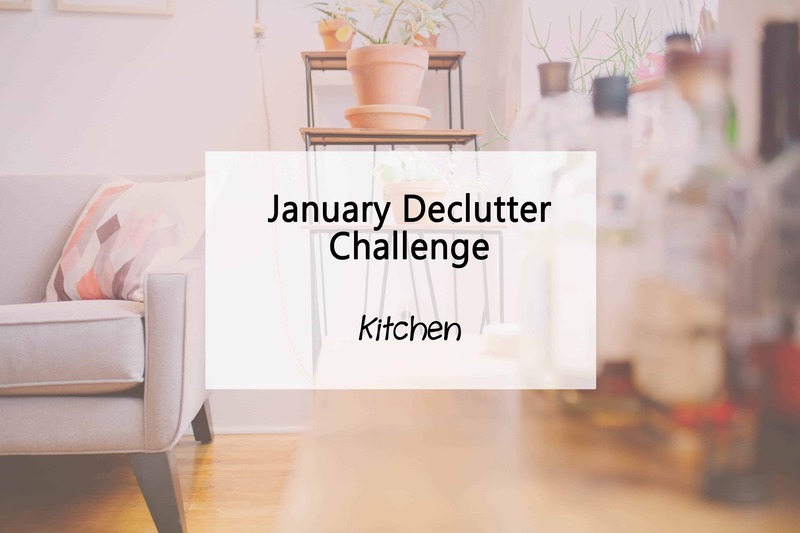 So tell me… if you have joined the challenge already, how is your kitchen declutter going so far? What are your biggest wins? And most un-fun tasks? Isn’t it a good feeling to empty your cupboards of stuff that you really don’t need? I definitely feel more relaxed in an uncluttered house! Absolutely! I’ve made such an impact today too… Extra kitchen storage means less crap elsewhere lol so good! 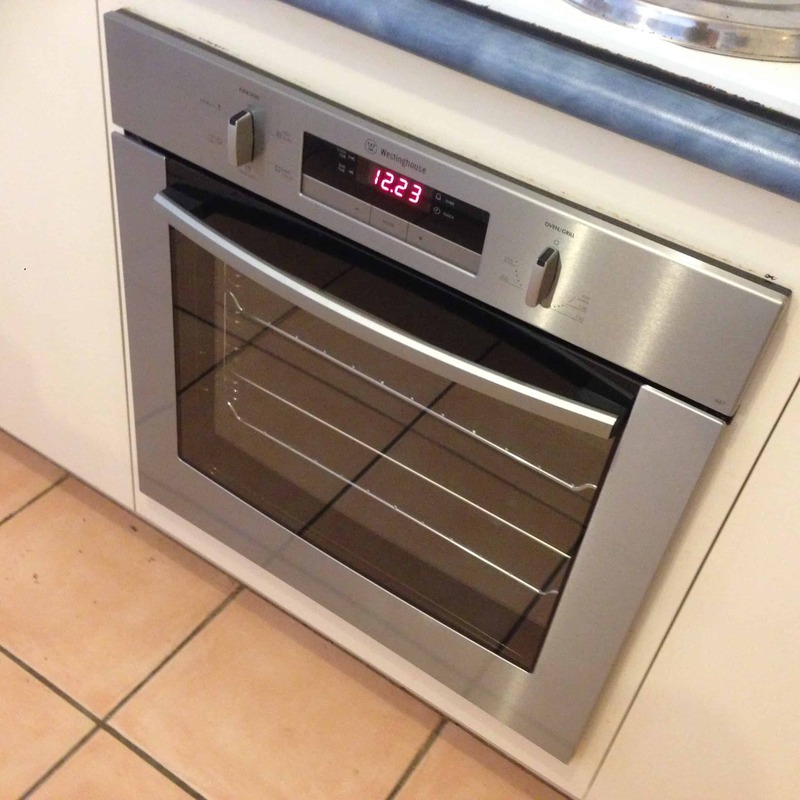 Hmmm….I think that I may to need to do some work in my kitchen soon. Great motivation!